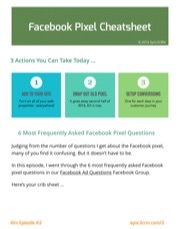 Based on the number of questions I get, it seems that one of the most baffling parts of Facebook ads for those just getting started is the new Facebook pixel. 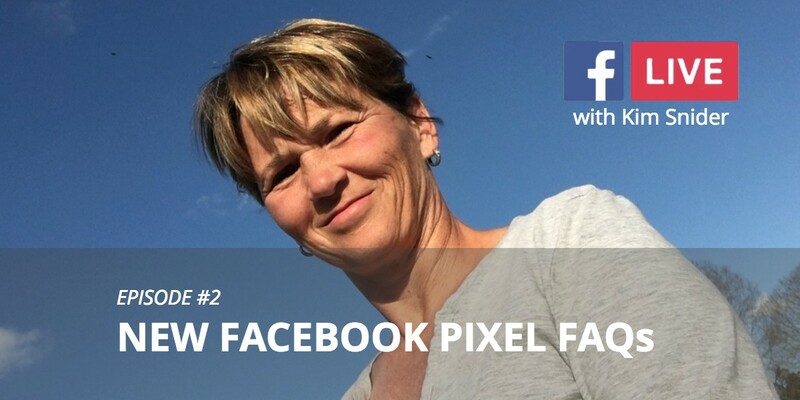 So in this episode of my weekly Facebook Live broadcast, I go over the most frequently asked new Facebook pixel questions. 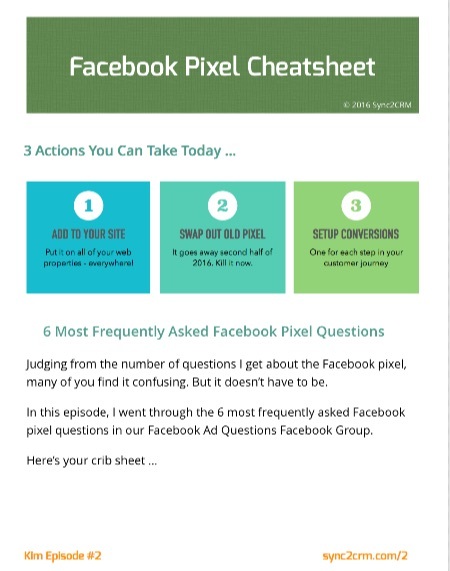 3:16 – Question #1 – What is the new Facebook pixel and what does it do? 6:07 – Question #2 – How do I install it? 9:25 – Question #3 – Should I/Can I use the same pixel on different sites? 13:05 – Question #4 – I have the old pixel on my site. Can I have both? 20:49 – Question #6 – What if I have more than 40 conversion events? I put together a crib sheet for today’s topic, which give you 3 actionable steps you can do today. Literally. Plus the short and sweet version of my answers and a surprise BONUS!